Social networking is all about sharing your experiences with others. People upload pictures and videos of themselves. This is an easy and effective way of sharing. Uploading pictures is very common. There are many software applications that can be used to enhance the pictures before sharing them. With the help of these applications, you can get best quality pictures. A couple of days ago, a cyberpunk 3D style digital artworks brought to our attention. It is the portfolio of Kazuhiko Nakamura from Japan. 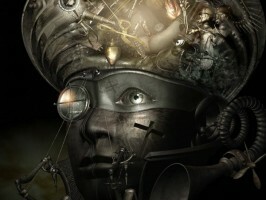 He was inspired by surrealism and cyberpunk styles of art when he was young.